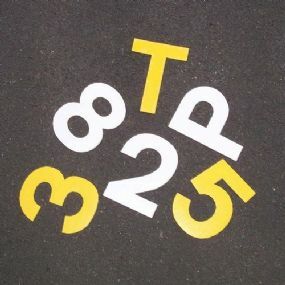 Ennis-Flint Prismo Flexiline Letters & Numbers Symbol is a preformed thermoplastic road marking. It is ideal for heavy duty exterior use. 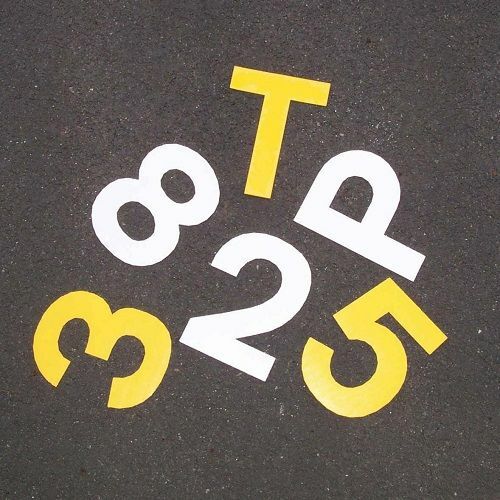 Ennis-Flint Prismo Flexiline Preformed Thermoplastic Leters & Numbers are the perfect solution to permanently marking car parks, roads, cycleways, airports, docks & playgrounds etc. Quick and easy to apply from standard road markings, to personalised logos & graphics. Ennis-Flint Prismo Flexiline Symbols provide all your requirements, for hard wearing, quick and easily applied surface marking solutions at any time of the year. With the performance of hot applied thermoplastic, these markings will last for years! 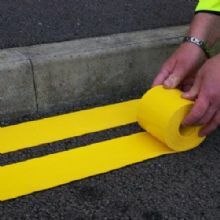 Ennis-Flint Prismo Flexiline Symbols provide exceptionally clean cut, crisp markings that can be trafficked within minutes of application & is one of the fastest ways to permanently reinstate road markings, or produce new markings, providing excellent cost effectiveness.